Get the most efficient equipment you can afford. Server rooms are expected to perform constantly throughout the day, every day, the efficiency will be worth it in terms of reduced operating costs. The newer more efficient equipment will also be more reliable than older equipment. Green bragging rights, and the good feelings of knowing that one is doing something to put less greenhouse gases in the air for their kids and grand-kids. Insist on a separate, stand-alone cooling unit for the server room. Do not try to share the general office unit with the server room. Many people have tried and it just doesn’t work. The heat generated by a typical office is much different than the heat rejected by electronic equipment. The servers do not add moisture to the air like people and plants do. One common repair call Cold Craft receives is to rectify the comfort/server cooling issue where someone tried to use one unit to cool both the office and server room. When this happens neither the employee nor the servers are happy. Insist on a definite purpose such as computer room equipment. Computer room equipment has much larger cooling coil than standard comfort cooling equipment. The technical jargon behind this is that computer room equipment has a higher sensible heat ratio. This specific purpose equipment is much less prone to ice ups than standard cooling equipment. Purpose built computer room equipment also has heavier duty components than standard equipment. My experience is that the Liebert equipment is the best for this purpose. Make sure the equipment is properly sized, ask the air conditioning contractor to show you how he came up with his heat load numbers. This is no time to be a Tim Allen from the Home Improvement TV show and ask for “more Power”. Too large equipment will start and stop repeatedly and wear out at an accelerated rate. The correct size equipment will come on and run for hours and hours at a time. Again, thinking in a common situation to us all – the automobile. What will last longer – a car that only does city driving or a car that does nothing but interstate traveling? 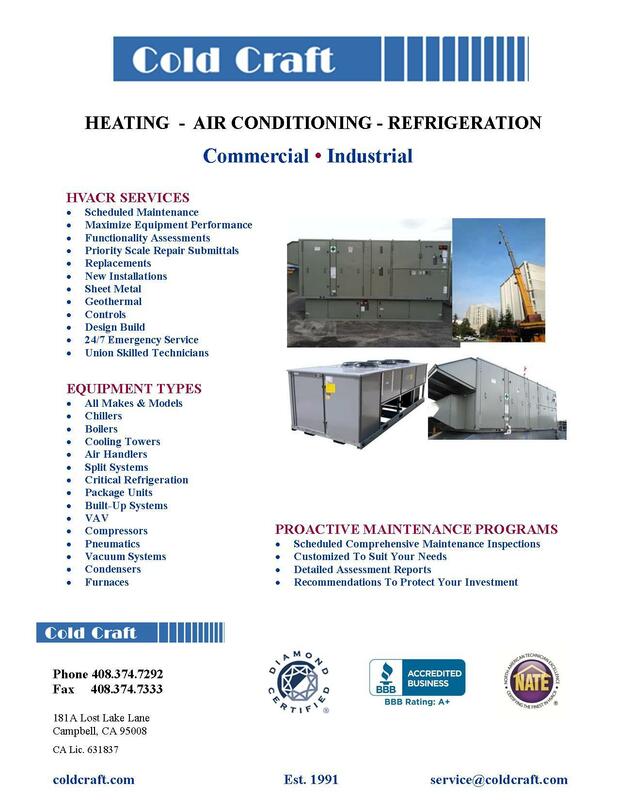 Air conditioning equipment is the same - turn it on and let it run. Should your server room be small, and you want to use residential grade equipment to take advantage of the modern current technology, the new equipment is capable of modulating, for instance a 5-ton Bryant or Lennox modulating air conditioner can modulate from 35 to 100% of the rated capacity in 1% increments. This means this equipment can change from a 1.75-ton unit to a 5-ton unit. If possible the server room can be harnessed for heat reclaim options. An example of this is if the business uses a lot of water that needs to be heated (like a cafeteria, pool heating or in the regular part of doing business). A water source heat pump can transfer heat to another area of the building, should the building be set for this type of system. My experience is that Climate Master makes the best water source heat pumps. Plan for redundancy. If the server room is critical to your business, the business owner is better off installing several smaller units to meet the needs rather than 1 larger unit. The industry terminology for this is n + 1. Redundancy is important when you run a business because it keeps you working should there be a failure. Lack of redundancy can result in high downtime costs, including lack of business productivity and potentially lost data. Plan for growth. It seems these servers have a habit of breeding when no one is looking, and more space will eventually be required. Make provisions for that whenever possible. Plan on the cooling equipment having a fixed life of 10 years. Most systems will last longer with regular maintenance. Many older server rooms have cooling equipment that uses the refrigerant R-22. This refrigerant is in the process of being phased out to protect the ozone layer. Two refrigerants that are replacing the obsolete refrigerant are R-407c and R-410a. Be smart – plan and budget to replace the old R-22 equipment before you are forced to. Liebert brand equipment typically has a wait time of 4 – 6 weeks, so planning is critical.